He hinted that a visit to the factory in Woking this week would be the perfect time to get things finalized. 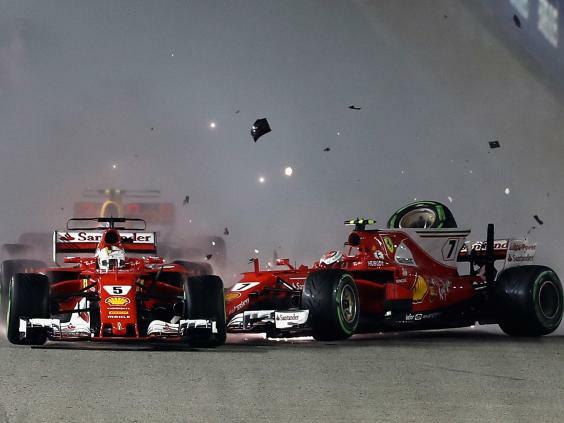 Alonso retired from the Singapore GP due to damage sustained when collected by Max Verstappen and Kimi Raikkonen in the start line accident. He was on target to emerge from the first corners second between Lewis Hamilton and Daniel Ricciardo prior to the impact. Fernando Alonso is a Spanish Formula One racing driver and a double World Champion who is currently racing for McLaren – Honda. He is often regarded as one of the greatest Formula One drivers in the history of the sport. He took part in the 2017 Indianapolis 500. Born in Oviedo, the capital of the autonomous region of Asturias, Alonso started in karting from the age of 3. He won three consecutive karting championships in Spain from 1994 to 1997, and he became world karting champion in 1996.